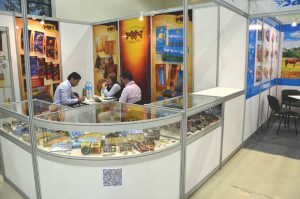 Foodweek Uzbekistan is one of the most significant and popular food industry exhibitions in Uzbekistan and Central Asia. Exhibition area always attracts close attention of all participants of the Uzbek food market, public authorities of all levels, professionals from expert community. 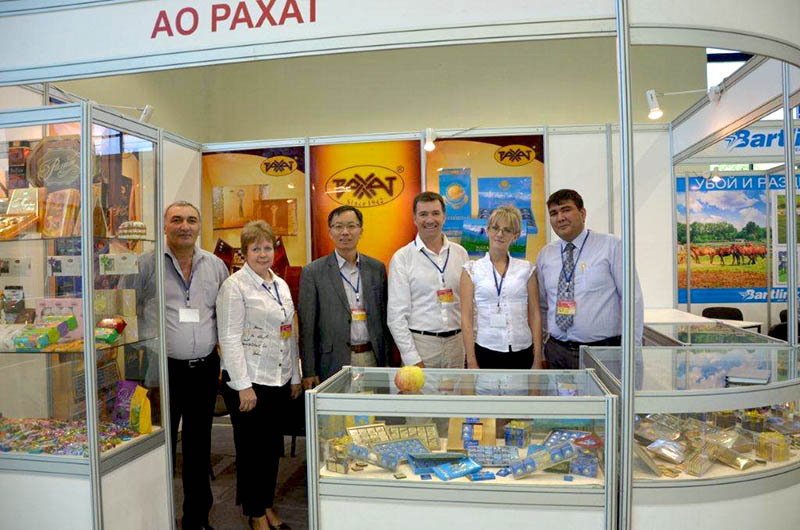 Numerous exhibitors from all over the world demonstrated the variety of food product choice for the market in Uzbekistan at Food Week Uzbekistan-2014 exhibition held in Uzexpocentre, Tashkent from September 24 to September 26, 2014. Rakhat JSC participated in the exhibition 4 times along with leading manufacturers of Uzbekistan and Central Asia. Fruitful meetings and negotiations on cooperation with old and new partners in various areas took place at the stand. A wide range of our products was presented. Caramel with fruit, nut filling, candies with combined body were presented for evaluation and degustation by specialists and connoisseurs from among ordinary visitors. Visitors’ comments were positive.